SHINE is ready to custom-manufactures your RF cable assemblies. We use automated tooling, employ a highly-trained workforce, and are committed to quality. Learn more about our custom cable assembly capabilities. What are RF Cable Assemblies? 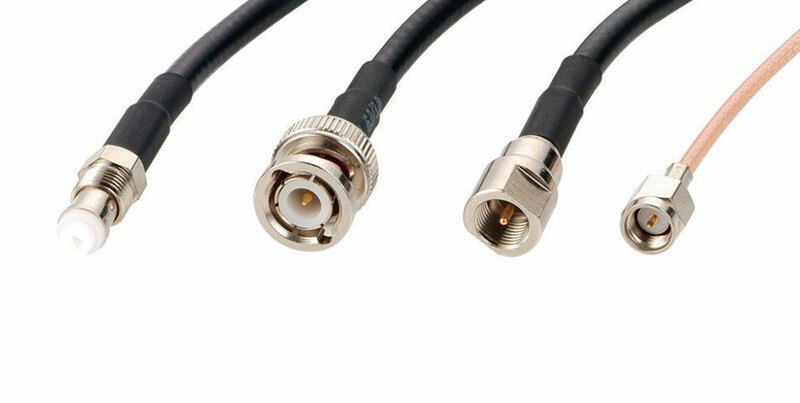 RF cable assemblies organize multiple coaxial cables into a uniform package. These transmission cables carry radio waves, a form of electromagnetic radiation with identified radio frequencies (RF) that range between 3 Hz to 300 GHz. Like other of custom cable assembly types, RF cable assemblies are easy to install, replace, and maintain. SHINE manufacturers RF cable assemblies with various cable types, cable lengths, RF connector types, and jacketing materials. RF cable types include RG, LMR, SS, low-loss, and micro-coax. RF connector types include SMA, RP-SMA, IPX, SMB, SSMB, SMC, MCX, MMCX, BNC, TNC, RP-TNC, N, F, Mini-UHF, and FME. Sheath or jacket materials include engineered thermoplastics that resist shock or fire. These custom cable assemblies provide excellent electrical performance, exceptional shielding and RF isolation, and signal fidelity. At SHINE’s manufacturing center in Adams, Massachusetts, skilled personnel use state-of-the-art equipment to produce RF cable assemblies to the highest quality standards. In addition to custom cable assembly services, we offers design assistance and component sourcing. SHINE is an ISO 9001:2015-certified electronic contract manufacturer specializing in custom cable assembly, wire harnessing, and electro-mechanical assembly. Since 1984, we’ve been providing partners with wire and cable products that exceed their expectations. Contact us for more information about RF cable assemblies.